He’s far more awesome than I realized. Wonderful post! 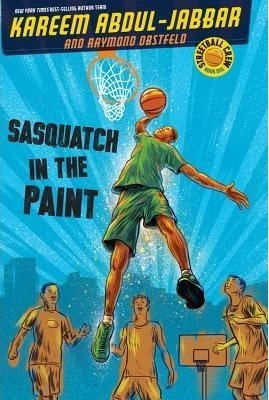 In case you haven’t heard, Karem Abdul-Jabbar will also enter the world of Sherlock Holmes this year. Adbul-Jabbar’s new book “Mycroft” is a mystery novel about Sherlock Holmes’s brother, Mycroft Holmes. The book is due out in October 2015 and is published by Titan Books. I knew about his sports titles, but the STEM Afterschool thing and the science/inventor books make me happy dance. (I also love that he’s stepping into writing about Mycroft Holmes, I am ALL OVER that book when it comes out.) I love when people of color believe themselves to be unlimited in their writing. Mr. Abdul-Jabbar is taking risks and making waves, and I have so much respect for that. We were fortunate to have KAJ33 visit our school library recently and he won over a whole group of readers…who had no idea what a sky hook is. Articulate, patient, smart and dedicated to getting the word out that sports, smarts and social activism make a great triple threat.